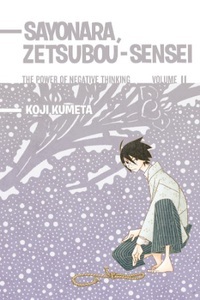 It's spring, and Zetsubou-sensei and the students master the art of detuning; that is, purposefully inhibiting the performance of something. Then, during summer vacation, they go on journeys of self-discovery, confront a mob of zealous over-protectors, and dodge spy accusations on the beach. Finally, back in the classroom, they are caught off-guard by surprise inspections masterminded by Zetsubou-sensei and Chiri Kitsu!